Fingolimod is the first oral drug approved for treatment of relapsing–remitting multiple sclerosis (RR-MS), and it has potential macular side effects. Despite the qualitative evidence of macular oedema under treatment, longitudinal quantitative assessment is lacking. To address this issue, we measured macular volume and central foveal thickness in a cohort of MS patients on fingolimod over 12 months of treatment. 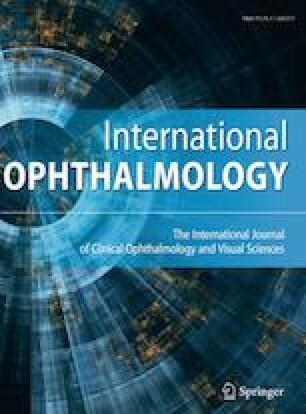 Central foveal thickness (CFT) and total macular volume (TMV) were longitudinally recorded with spectral-domain optical coherence tomography in a cohort of 23 RR-MS patients treated with fingolimod at baseline, 3, 6 and 12 months. OCT parameters were analysed considering previous history of optic neuritis (ON). Comparison of means was performed with variance analysis (ANOVA). Macular oedema occurred in none of the patients. Comparing both groups of patients (with and without previous ON), no statistically significant difference was found during the follow-up both for CFT and TMV (p = 0.99 and p = 0.96, respectively) although a slight early but not significant TMV reduction was detected. In our cohort, therapy with fingolimod did not cause any change in CFT and TMV in MS patients during a 12-month follow-up independent of previous ON. This is an independent work not supported by any sponsor. The authors have no financial interest regarding the content of this paper.